Steve Foster is arguably one of Hove’s most well-known residents and a regular visitor to Paris Wine Bar. A former professional footballer, he played for Brighton and Hove Albion from 1979 to 1984 and again from 1992 to 1996. 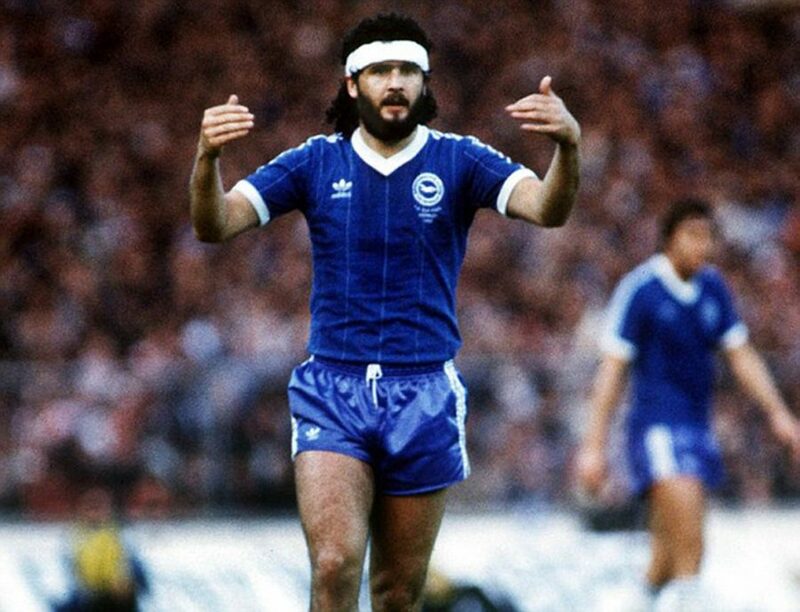 He captained Brighton to the epic FA Cup Final of 1983, eventually won by Manchester United in a replay. He was a member of England’s World Cup squad in Spain 1982, winning three caps for his country. Steve is now a prominent businessman with global operations focussing on the health and welfare of professional sportsmen and women. “I’ve been coming to Paris Wine Bar since it opened 7 years ago. I usually arrive just before lunch to spend a few quality hours either unwinding or catching up with family. For me, it’s a place where I can think, plan and review my business interests in peace as well as laugh with those closest to me – all whilst enjoying delicious Chicken Skewers accompanied by an ice-cold Corona! The staff at Paris are professional, charismatic and courteous but they know when to let customers have their solitude. In my World, I often have high-level meetings with brokers and investors from London. Without hesitation, I invite them to Paris Wine Bar; just a short walk from Hove Station. A table is booked, lunch is ordered, French wine is served, and in every case, the ambience and hospitality offered by this unique venue has proved a winner in making my associates and clients feel relaxed; not to mention sampling the wonderful menu at very reasonable cost.